Order Dr. Selma Nemer’s E-book, The Beheaded Goddess. Order Guardians of the Treasure by Dr. Selma Nemer & Gabrielle Nemer. 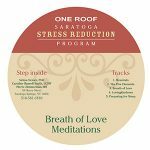 Our clients often tell us that they wish they could take a little of the One Roof experience or Saratoga Stress Reduction Program home with them. 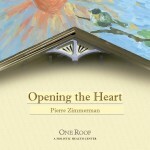 Our One Roof CD Series was produced in response to that request. These audio programs cover relaxation techniques, releasing anxiety and many other health and wellness topics. It is our mission to support our clients in their healing journey, beyond their experiences at One Roof. Our CDs were designed to deepen the healing process and keep the listener centered and open, any time, any day. You may also purchase our Wellness CDs in person at our Henry St. office.